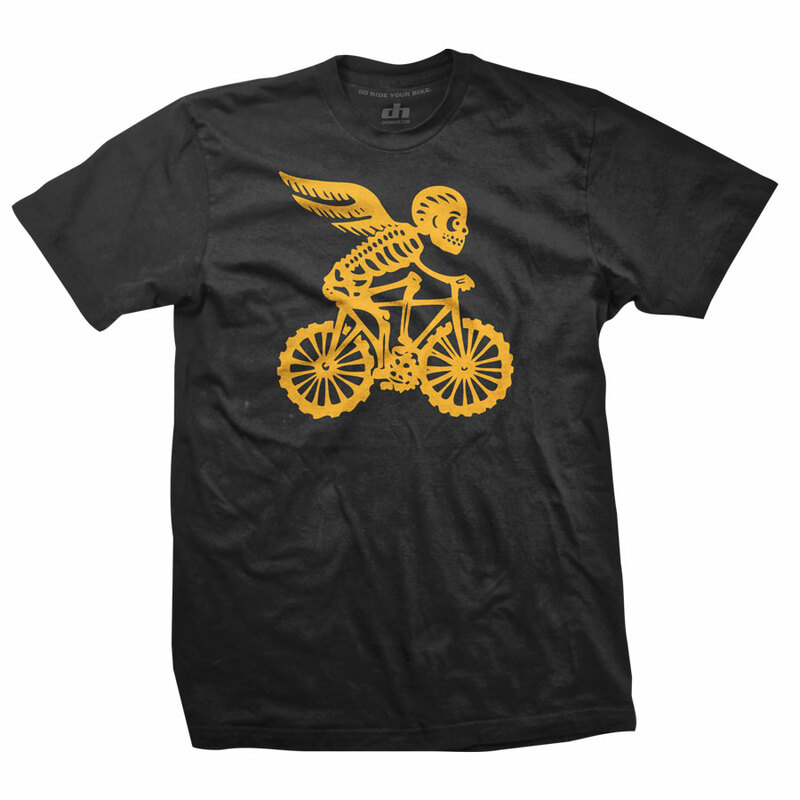 You don't have to wait until Dia de los Muertos to break out the VeloBones shirt. It's perfect for anytime of the year! 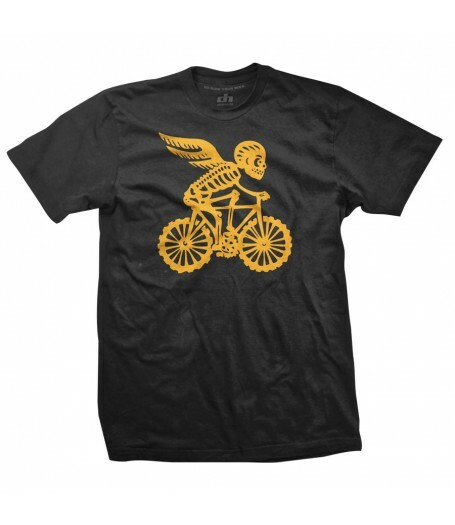 Black shirt with gold graphic. Shirts are 100% soft cotton.